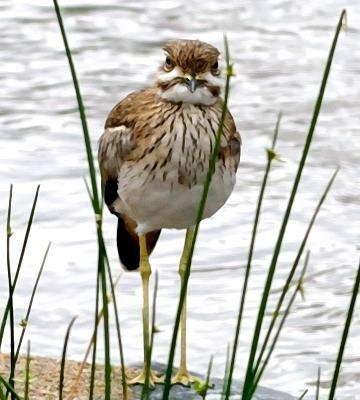 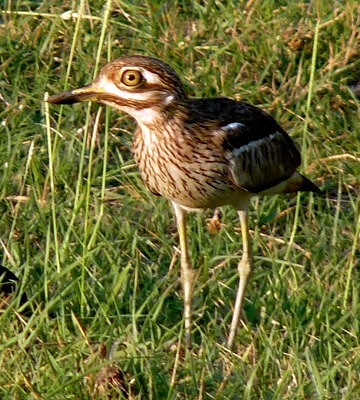 Water thick-knees are mainly active at night, are often seen just standing or sitting during the day. 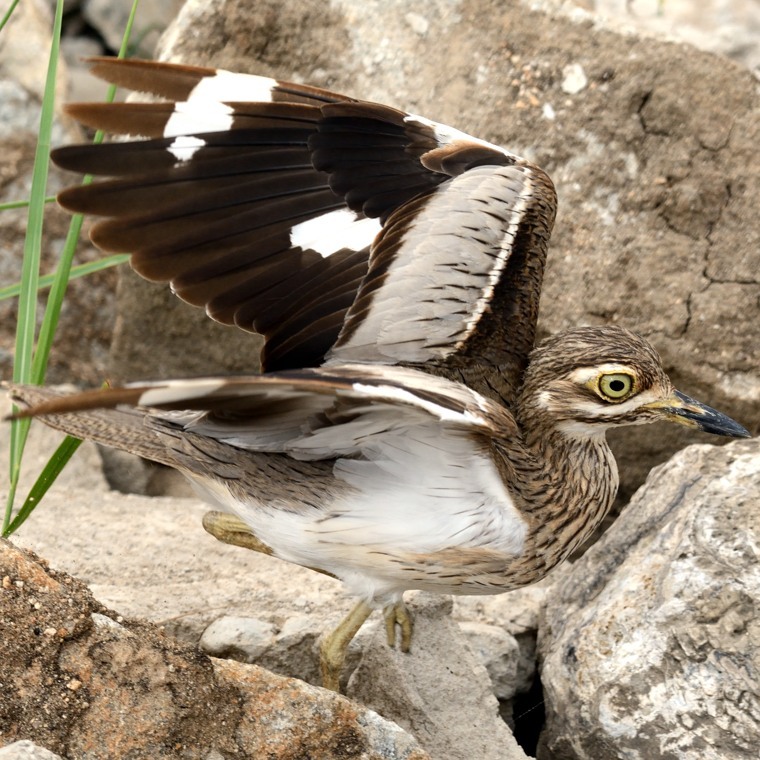 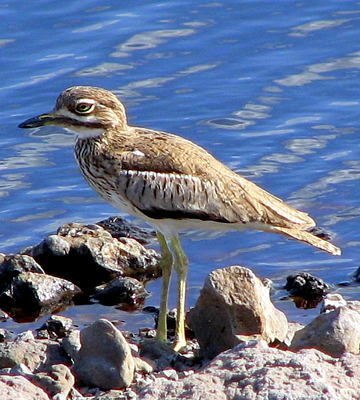 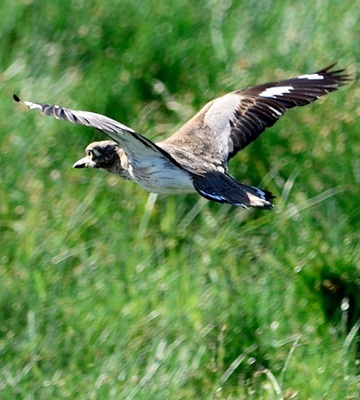 The white wing bar distinguishes it from the Senegal thick-knee. 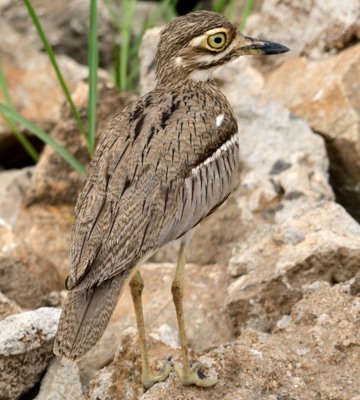 The right lower adult photo is courtesy of Tom Nicholls. 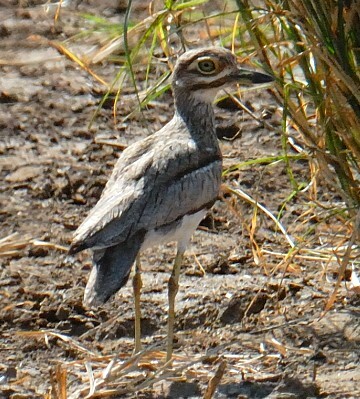 The right 2nd row photo (Lake Eyasi, 12-09) is courtesy of Chris Schmeling. 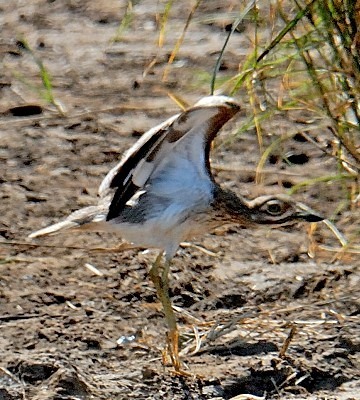 The photo with monitor lizard (Tarangire, 1-14) is courtesy of Naomi Simonson. 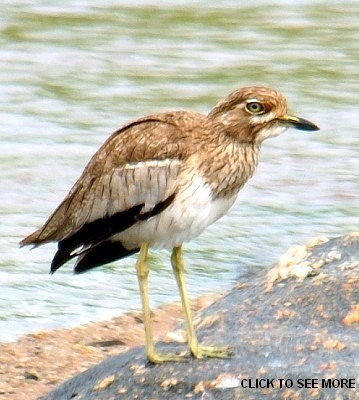 Click the photo above to see twenty-four enlargements which include juveniles and immatures and additional views with the monitor lizard.